Speaker — Linda Peck M.Ed. Linda Peck graduated with Honors from George Washington University 1977, and was a professional ballerina with the Washington Ballet, Washington DC. 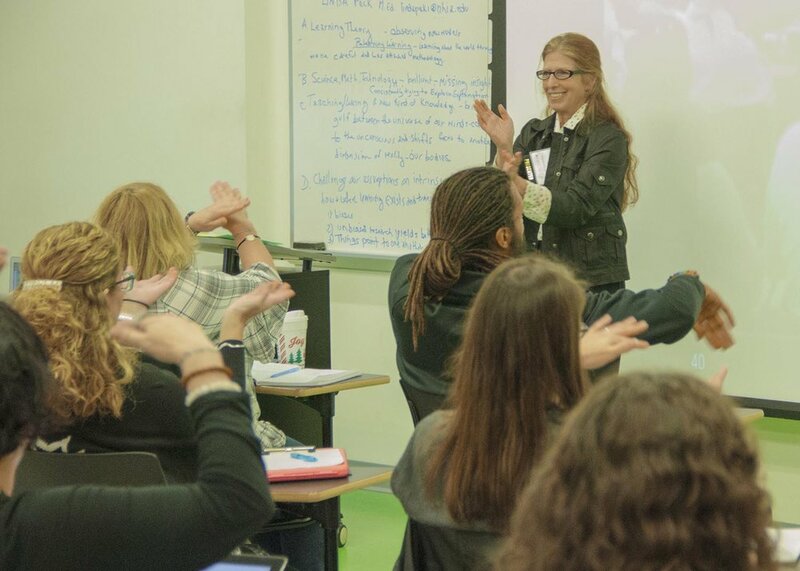 As a teaching artist/presenter she has a strong background in the design of nontraditional teaching techniques that combine curriculum/course requirements with arts integration. She has received grants in support of her work from institutions like the Mass Cultural Council, the Puffin Foundation, The Tapestry Project, The Humanities Project (NY), Safe Schools Healthy Students, and the Institute for the Gifted and Talented. She has taught programs related to bullying, communication, health, peer relations, respect, substance prevention, choice, philosophy, theater, and movement in many New England schools. Linda offers a TEACHERS’ STAFF DEVELOPMENT PROGRAM, utilizing movement exercises that illustrate how curriculum can be delivered in the classroom. Furthermore, Linda addresses social and behavioral strategies, that teachers can adjust to whatever grade or population they are serving.